St Stephen’s College, University of Delhi has installed a sanitary pad vending machine in college on 15th May. The machine is sponsored by ONGC and is set up by for free by CSR Research Foundation, though the cost of refilling is to be borne by the college. The inauguration was done in the presence of the Chairman of the Foundation, CA Deen Dayal Agrawal, the principal of the college, Prof. John Varghese and was attended by the faculty and students of the college. ”Menstrual euphemisms and taboos are old. I see periods as a monthly cycle which every woman goes through proving their strength irrespective of their workload and mental stress. 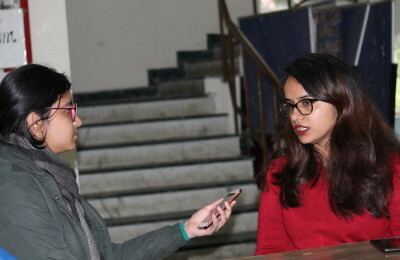 It’s not about the pain or stain during periods, the actual worry remains that of perceptions and prejudices”, said Ananya Kapoor, a second-year day scholar.